Content selling his landscape and adventure tour photos to tourists, Mitch seems to have it made in the palm tree shade, an exciting job, good friends and a new romantic interest. However, his idyllic beachfront life in the expatriate art community is shattered when someone begins attacking women and cutting them with a razor-like knife, deliberately splattering their blood on nearby walls. The local police are loath to investigate the crimes. The Latin macho society wants to ignore the socially uncomfortable crimes against women. Mitch is also reluctant to help, thinking he left that old life behind, he was fired for anger management issues, but the stakes are raised considerably when the attacks escalate to murder. When Mitch’s new love, Angie, a fellow artist, is targeted by the killer he can’t avoid being drawn in. Isolated in a foreign country, Mitch must combine an unusual team of ex-pats with his to his investigative and photography skills to uncover the link to the crimes and stop the killer before he strikes again. 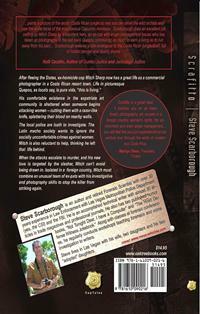 Scrafitto features a refreshingly compassionate, amateur sleuth with pure motives and scrupulous honesty, delving into the underlying lives of ex-pats in a foreign country. 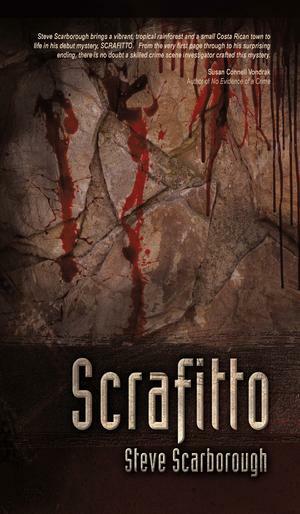 Scrafitto touches on photography, art, adventure tours, Latin macho attitudes, anger management issues, the plight of women in a Latin America, and expatriates in exotic Costa Rica.